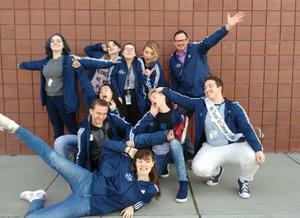 Skyview students earned five Superior rankings and walked away with two scholarship offers. 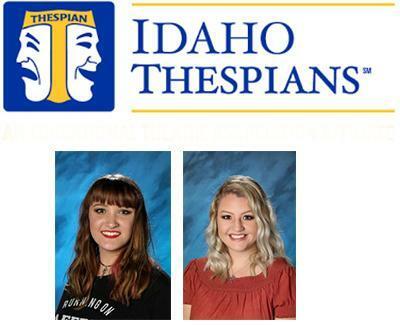 Skyview High School drama enthusiasts competed this past weekend at the Idaho Thespians Society Festival held at Centennial High School. Students performed to earn a ranking, adjudicated by college professors. Out of a total of 13 Superior rankings awarded during the festival, Skyview students earned five. The remaining SHS students received no lower than Excellent. The festival also included a Tech Olympics, which requires students to perform a variety of technical theatre skills while being timed, such as hanging a theatrical lighting instrument, focusing the lighting instrument, putting in a gobo tin correctly, and taping out a floor plan. Skyview students Logan Pollard and Jared Burton won this event with a two-minute lead. On Friday night, juniors and seniors auditioned for college scholarships. Three Skyview students auditioned and all three received call-backs. Melanie Stringam and Madison Pittz were both offered a scholarship from prestigious American Musical and Dramatic Academy in New York (AMDA). Other colleges will be in touch this week to potentially offer additional scholarships.